Photos, Music, and Moving Pictures have always fascinated human beings. Modern day computers have completely transformed the way we consume media. 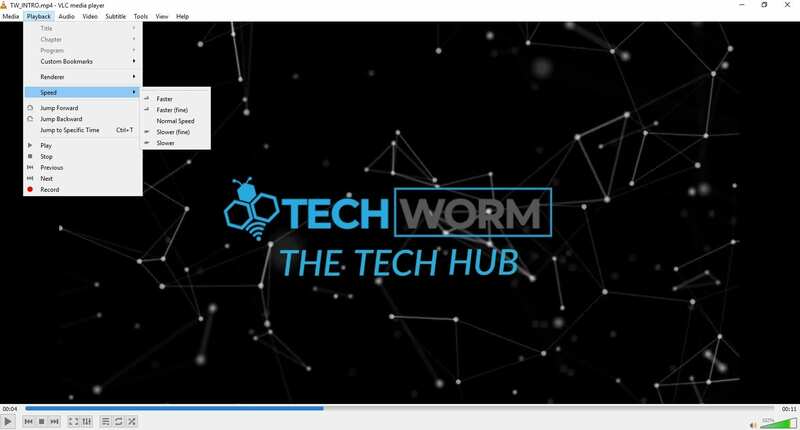 Well, if you don’t prefer using the default media player on Windows 10 and are looking for the best media player for Windows 10, then you are reading the perfect article. So these are the 10 feature-rich best video player for pc that will take your media consumption experience to a new horizon. The first and possibly the most popular media player on the list is VLC Media Player. 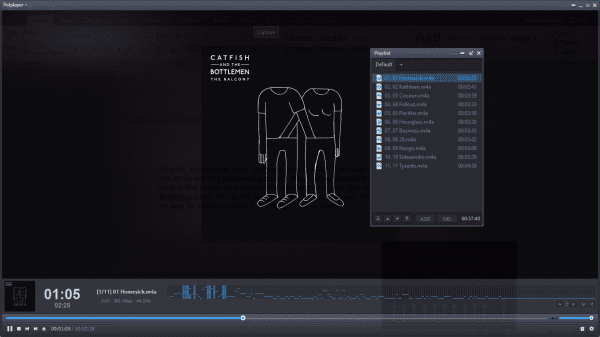 This open-source video player can play almost any audio or video format. Using VLC Media Player is fairly simple and the ability to adjust video effects is impressive as well. Skins and Plugins help increase the functionality of VLC Media Player. This video player for pc can be installed on any Windows, ranging from Windows XP SP3 to Windows 10. VLC Media Player offers exceptional playback controls and best stability while playing multiple videos. 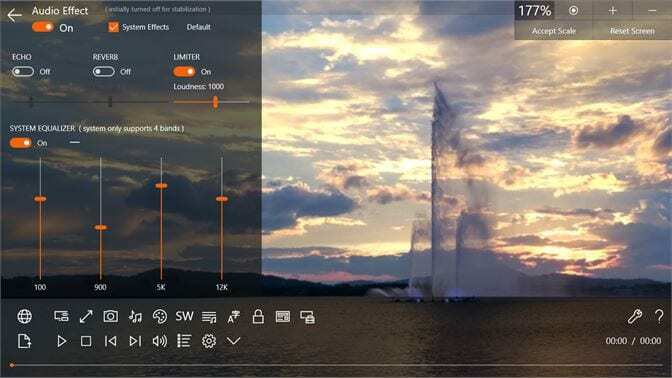 All these nifty features make VLC , the best media player for Windows 10. Media converter and streaming capabilities. Ability to play Internet radio and TV. The next best free media player for PC is GOM Player. 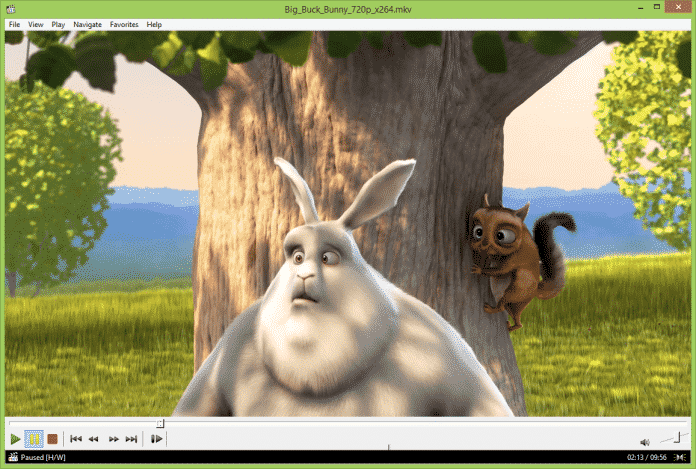 Similar to VLC, GOM Player also supports many different media formats like AVI, MP4, MKV, FLV, WMV, MOV, DVD and Audio CD. 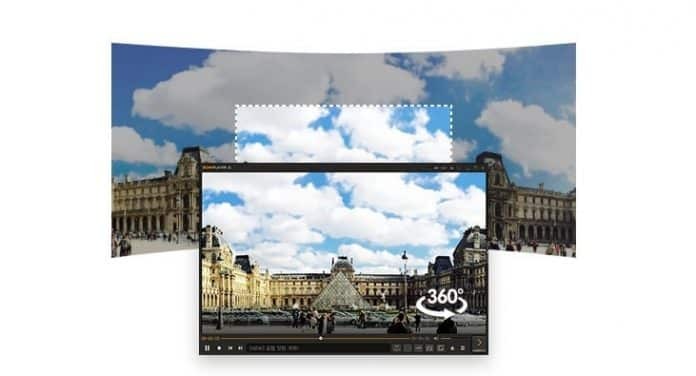 Moreover, GOM Player supports 360° videos and YouTube VR videos. GOM Player is one among a few media players that can play broken videos and partially downloaded media files. GOM Player has a minimal UI and the playback controls are impressive as well. This media player provides subtitles for almost every popular movie. As for downsides, random advertisements on GOM Player may annoy some users. GOM Player supports 360-degree video. Ability to play damaged files. The next all-in-one media player on the list is PotPlayer. This capable media player has gained immense popularity in recent years. PotPlayer also supports every popular media format and OpenCodec helps users to add different codecs as per their preference. PotPlayer offers reliable performance and hardware acceleration through DXVA, CUDA, QuickSync further enhances the overall media consumption experience. This media player can be installed on any version of Windows, ranging from Windows XP to Windows 10. Overall it’s a feature-rich media player that gets the job done. Ability to choose between two sound cards. Users can bookmark a favourite scene or chapter. Supports various devices such as DVD, TV, HDTV. 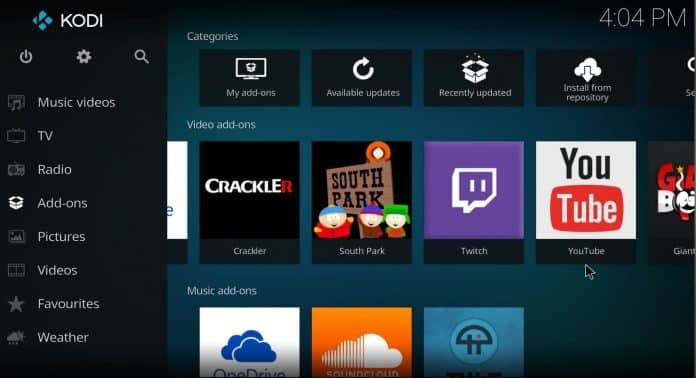 Windows store has many impressive applications and ACG Player is one among them. This underrated media player is a perfect choice for those who use a touch screen based Windows 10 laptop or tablet. ACG Player supports every popular video format and the barebone UI help ACG Player run smoothly even on a low-speced PC. 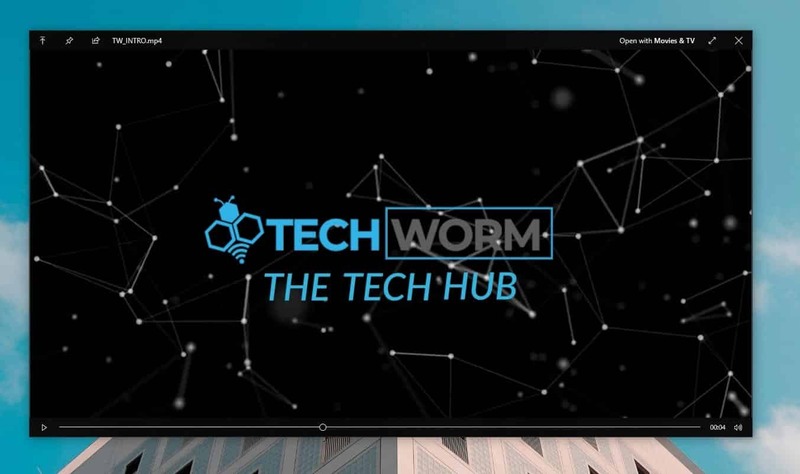 Features like gesture customizations, music visualization art effects, multiple window mode, customizable UI buttons, playlist management and many other nifty features make ACG Player the best media player for Windows 10. Gestures based customizable playback controls. 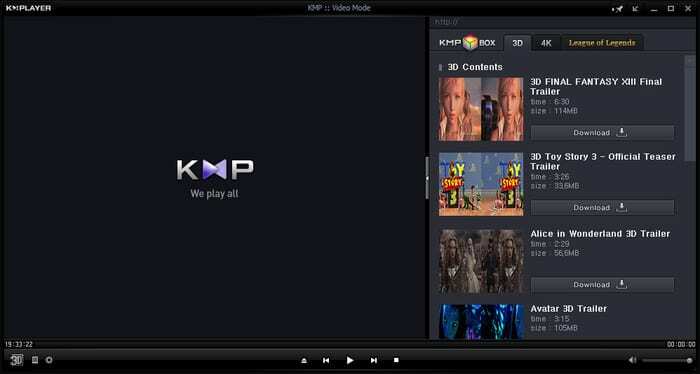 The next impressive and reliable media player on the list is KMPlayer. This media player supports every mainstream audio and video format. In addition to that, users can even add external codecs. KMPlayer is available for Windows, MacOS, Android, and iOS. The video capture feature allows users to take screenshots while watching videos and save them as jpg files. KMPlayer can also play high-resolution video files such as 4K and UHD. Lastly, KMPlayer also offers many audio and video effects that help personalize and enhance the overall watching experience. Simple and easy to navigate UI. As the name of this media player suggests, it is one of the oldest media players on the list. Media Player Classic has a Home Cinema version dedicated to casual users and a Black edition version dedicated to pro users. The Home Version offers everything that a casual user may require. Furthermore, its lightweight and consumes very low resources. You can even use this media player on an old computer and convert it into a media consumption device. 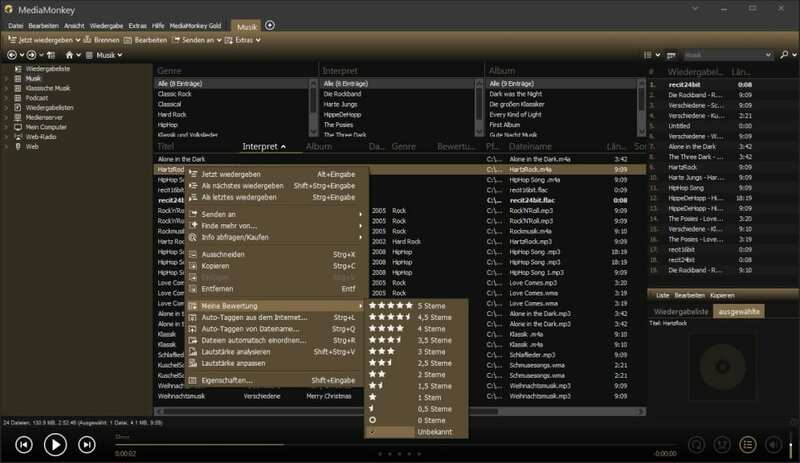 The black edition version is more feature-rich and complicated to use. That said features like support to every mainstream format, video capture, and subtitle downloads make it the best media player for Windows 10. The next media player on the list is MediaMonkey. This reliable media player also doubles up as a media manager that manages your local and cloud-based media files. Using MediaMonkey you can convert file types and even share them via DLNA. 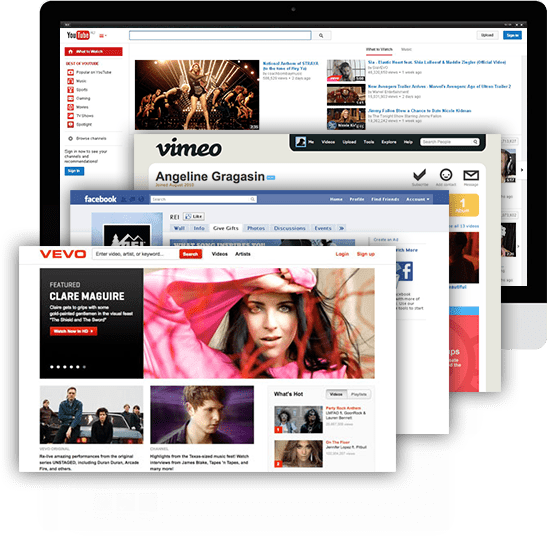 Similar to other media players on the list, MediaMonkey also supports every mainstream media format. MediaMonkey even allows users to visualize music with funky trance-like effects. The gold edition of MediaMonkey offers faster disc burning, advanced searching, and automatic background media organization. QuickLook does exactly as its name suggests. This Windows application allows you to quickly preview any media file located anywhere on your PC. So as to preview a media file simply highlight it and press the spacebar. Quicklook integrates an image viewer, music player, and a video player. This media player has a very a clean UI and resembles the QuickLook feature found in MacOS Mojave. In addition to that, QuickLook also allows users to open media files in Windows default media players. Best app for previewing media files. The next best media player for Windows 10 is 5K Player. As the name of this media player suggests, it can be used to play Full-HD/4K/5K videos. This media player supports all mainstream media formats like MP4, MOV, M4V, MP3, AAC, and much more. 5K Player also support Airplay Mirroring. Consequently, you can render the whole screen of iPhone/iPad to computer and Mac/PC to Apple TV. With CPU and GPU based hardware acceleration, 5K Player offers visually appealing video quality. Lastly, using the 5K player you can freely download videos from YouTube, Dailymotion, Vimeo, Vevo, Facebook and 300 more websites. The last and one of the most popular open-source media player on the list is Kodi. You can play content on Kodi either locally or from online streaming services. Kodi supports every digital media format and has a very developed UI. Add-ons drastically increase the functionality of Kodi. Well, Kodi has its native application for Android, Linux, Mac OS X, iOS and Windows operating systems. Kodi also allows users to install third-party plugins that may provide access to content that is freely available on the official content provider website. 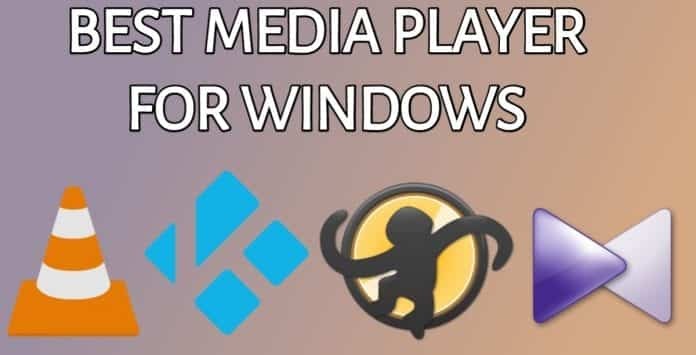 So these were some of the best media players for Windows 10 that are completely free to use. You can choose any one of these based on your preference. Do share any other personal recommendation for the best media player for Windows in the comments section below.